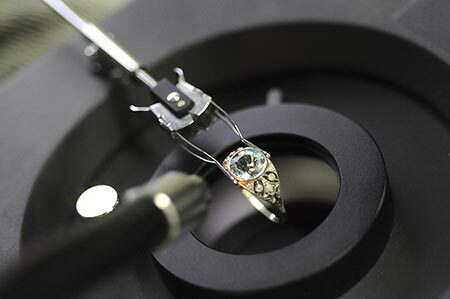 The first step in the process of valuing your gems or jewellery is establishing exactly what it is. 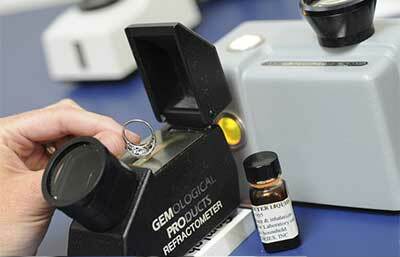 Gemmological testing involves observation of the surface and internal characteristics of a gem material and other non-destructive optical and physical tests. If you just want to find out what that stone is that your Aunt gave you, or confirm the identity of something you have purchased, in most cases we can do it for you while you wait for a $50 fee, with additional items costing $35 each. Some more complex identifications, especially for treated gems, may take longer and cost more but we will advise you first. 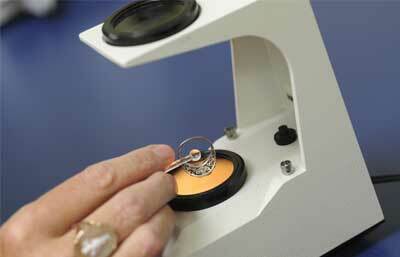 No need for an appointment just call in to see one of our Gemmologists.